Multi-tasking is what women do, right? On Wednesday, I was called down to London to do an amaaaaazing shoot with the lovely Elizabeth Gibson (link to her site at the end). This was excellent – we haven’t shot together for about 12 years and I’ve been dying to get some new editorial. I’m currently on holiday in the U.K. seeing family. And right now, until next Wednesday, Pete is still in South Africa. What to do with Monkey? Nanna’s Babysitting Service, of course! 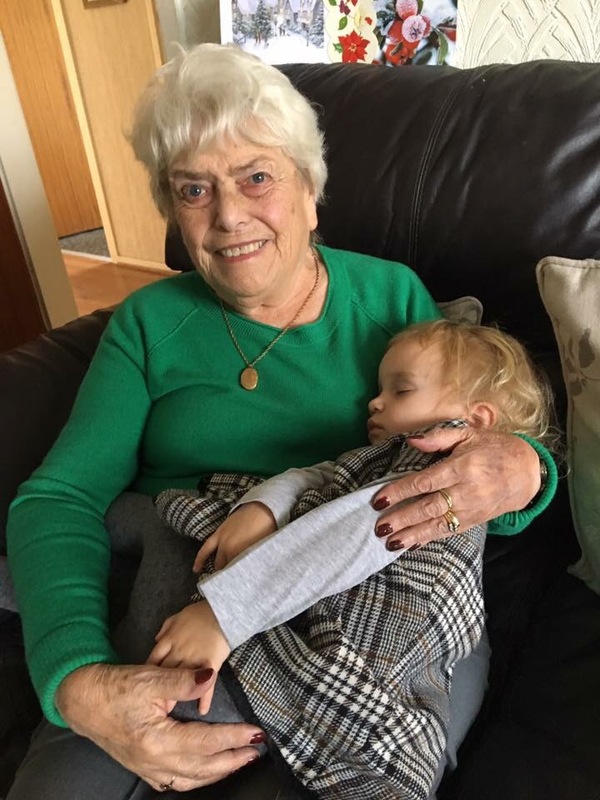 My 83-year-old Nan (so Stevie’s great-Nanna) loves looking after her great grandchildren, and has never looked after Stevie before. So she saw it as a huge treat! I dropped Stevie off at 7.30am, slightly apprehensive, with a Frozen backpack full of books, nappies and spare clothes, and was waved off happily from the window… typical, and there I was feeling nervous. I then proceeded to get stuck in traffic on the Mancunian Way, run the last 1km to the gate and make it with two minutes to spare, to be told my train was cancelled and all my running was for nothing. But, as is always the case, I eventually got to work, and it was incredible. I’ll publish the pics here when I get them. And I even managed to get an earlier train home! Bonus. I walked into the house to find Stevie sitting with my Auntie Jacqui and my cousin, Jodie, snuggling watching Peppa Pig. We had a bit of a catch up and then, since it was already 10pm, we both went to bed. What a busy, amazing day!